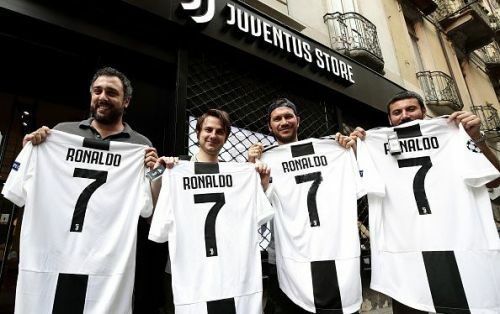 Serie A champions Juventus confirmed the signing of Cristiano Ronaldo on a four-year deal, which brings an end to his nine-year association with Real Madrid, last night. The five-time Ballon d'Or winner has joined the Old Lady in Turin for a reported fee in the region of about £105 million, in probably the biggest transfer of the club's history. Real Madrid released a statement on their official website which revealed that the Ronaldo had requested for a move away from the Spanish capital. It read: "In response to the will and request expressed by the player Cristiano Ronaldo, he has agreed to transfer to Juventus. Real Madrid wants to express its gratitude to a player who has proved to be the best in the world and who has marked one of the brightest times in the history of our club and world football." "Beyond the conquered titles, the trophies achieved and the triumphs achieved in the playing fields during these nine years, Cristiano Ronaldo has been an example of dedication, work, responsibility, talent and improvement." Ronaldo departs Real as the club's all-time top scorer, with an extraordinary 451 goals in 438 games. The 33-year-old also won four Champions Leagues, two La Liga titles and two Copa del Reys during his time at the Bernabeu. Asensio could be on his way out! According to Diario Gol, Chelsea have reportedly demanded that Real Madrid include Marco Asensio in a swap deal if the Los Blancos are desperate enough to acquire the services of Eden Hazard this summer. As per reports, Chelsea are finally preparing to face the inevitable departure of their talisman, who has now staked a serious claim to Ronaldo's throne at the Santiago Bernabeu with strong performances in the World Cup, but they remain confident that they can enjoy the liberty of playing hard-ball with the European champions. Asensio is reportedly valued at £132 million by the club and has a staggering €700 million (£616m) release clause to his name in a contract that runs out in 2023. The 22-year-old has been sensational for Real since joining from Espanyol in 2016 and has also managed a commendable tally of 21 goals and 10 assists in 91 appearances so far. 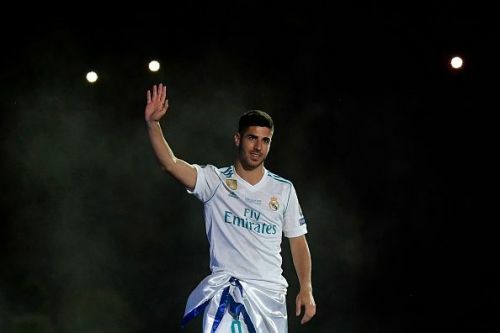 Chelsea are also reportedly willing to involve either one of Gareth Bale or Isco instead of Asensio as a part of the proposed swap deal, but the Blues remain adamant about finding a like for like replacement before allowing their star man to leave the club. Manchester City manager Pep Guardiola has turned his attention to Real Madrid outcast Mateo Kovacic after failing to strike a deal for Jorginho, the Mirror reports. The Premier League champions were close to finalizing a deal for Jorginho but after failing to agree with Napoli over a fee, it seems like the opportunity has been presented to rivals Chelsea who are now in pole position to land the midfielder as Maurizio Sarri's first signing at Stamford Bridge. If reports are to be believed, Kovacic is the prime candidate in City's long list of alternatives for Jorginho after persistent rumours continue to circulate surrounding the Croatian's concern regarding the lack of playing time on offer at the Santiago Bernabeu. “I would like to play more at Real Madrid because I love football and I love being on the pitch. I also know that it’s difficult to play as a starter at Madrid, especially because I was very young when I came here," Kovacic said. “I understand the situation, and that’s why I think it’s best if I go to another club, where I have the opportunity to play regularly as a starter. It’s an opportunity I think I can get and one I want right now. Every player is important at Real Madrid." "However, the problem is that for a young player, it’s difficult to have continuity, and without that continuity I’ll never be able to show my full potential,” he added. As of now, Real have refused to comment on the midfielder's current situation but sources close to the Los Blancos believe that the club will not act against Kovacic's wishes if he decides to move on.